This one’s for the ladies. Nike‘s next women’s only model comes from its running division and sports an attention-commanding Air Max unit. 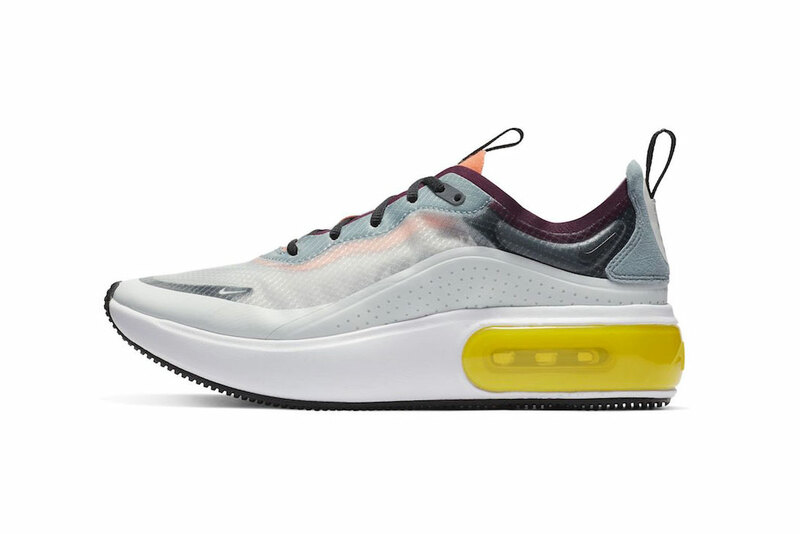 The forthcoming Air Max Dia SE takes a few design cues from the Zoom Fly SP – a translucent upper and foam midsole – and makes a significant update for the upcoming 2019 year. The model will make its debut in two colorway choices of pink, black and white while the second sees a mix of burgundy, pink, black, white and yellow. Each profound Air Max unit is housed within a thick white midsole which supports a TPE upper, similar to the React Element 87. Nike's Air Max Dia SE Arrives in "Laser Fuchsia"
Nike's Air Max Plus SE Surfaces in "Triple Black" & "Midnight Navy"
Could the album be coming out tonight? Off the Oakland rapper’s recent EP with Kenny Beats. The final season is approaching. Domo Genesis Enlists Buddy for "Consecutive Normal Punches"
A new single in support of his upcoming EP. Promoting various Capcom products and events. With a dose of the Big Apple’s night life.